Zhongshan Huazhi Mould&Plastic Technology Ltd. (J-K Mould)，established in 2006, is a company specializing in the design and manufacturing of Injection moulds from small to large size, with the latest technology, J-K Mould manufacture products related to automotive, home appliances, medical products, etc. J-K Mould has rich experience for high performance and high precision mould, such as electroplating products, Painting products, High Polishing , Gas Assisted , which is our technical advantage. 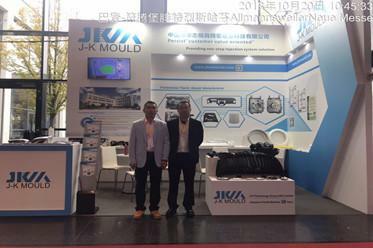 J-K Mould has won the recognition and trust of some well-known companies all over the world, directly or indirectly providing goods to famous brands including Honda (HONDA), TOYOTA (TOYOTA), General(GM), Ford (FORD), Volkswagen (VOLKSWAGEN) , Chrysler (CHRYSLER) Samsung (SAMSUNG), Toshiba (TOSHIBA) and PHILPS (PHILIPS) etc. 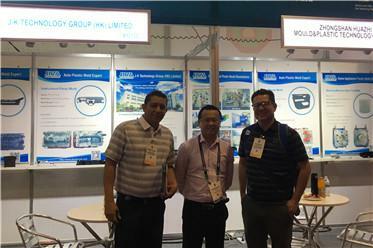 J-K Mould win high praise from customers in the competitive market. “Practicability”, “Innovative”, “Cooperative” and “Sharing”are the core spirtit of every employee, who constantly pursue high quality and bravely face new challenge. With determined efforts,JKM is striving to build a world-class mould brand.